Over the years we have appreciated the continued support of self-guided groups. A lodge custodian will join you for your week. The custodian has their own accommodation and you are not expected to feed them. They are there to maintain the facilities and will do their best to ensure you have an Fantastic free ride holiday! There is no minimum participant reservation required for booking the self-guided lodge rental. There is however a minimum price to book the lodge which we have based on 10 skiers . For groups larger than 10; the 11th person is charged at the standard fee. 12th person No Charge. All packages/Services are based on a 7 day reservation. Ski the best lines, sit back and relax! Join our experienced guides. We have been skiing in our operational area for over 30 years. We have intimate knowledge of the terrain and the local snowpack characteristics. This means knowing where to go and when. 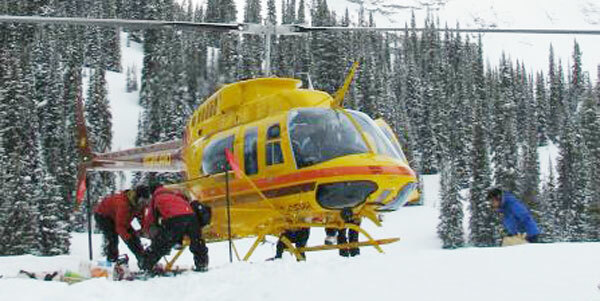 Heli in and out, gourmet mountain cuisine, professional guide service . All prices are subject to 5% HST on the full amount. As we can’t predict food costs 2yrs in advance please note our catering price may change due to cost of food increases. Summer Rates for lodge rental: $80.00 per night/person – min. 2-night stay – min. 4 guests and does not include helicopter transportation.